Really looking forward to hearing more about this. Sega did brand it as a big announcement before announcing it, so it has to be VI. Really curious how the turn based combat will be in it. V was in several ways a predecessor to Valkyria Chronicles after all. I hope this comes out in America I’m playing the first 4 games on Dreamcast currently. I just beat 3 and it made me tear up at the end. It became my third favorite game of all time behind Shining Force 3 and Panzer Dragoon Saga. 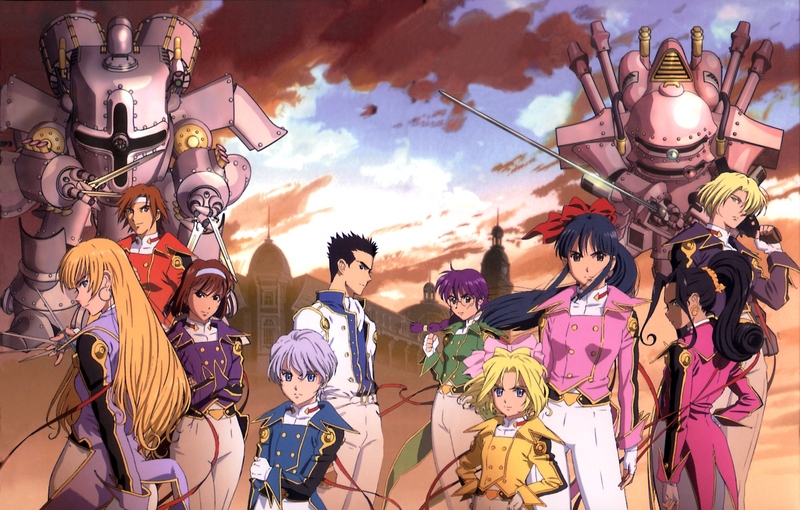 In terms of presentation, Sakura Wars is somewhat standard for a early 2000s TV anime, but has its high points. It sports beautifully drawn scenery shots of 1920s Tokyo with character designs looking well designed and pleasing on the eyes with subdued color tones. The series employs a steampunk-like style in depicting the technology and mecha used by Sakura’s group which work well with the anime and is a unique style that sticks out from many anime titles of the mecha genre. Animation is a bit subpar with some use of CG animation that is poorly rendered and sticks out like a sore thumb, with action sequences not being too engaging since the choreography plays out in a typical style and occasionally employ shortcuts.